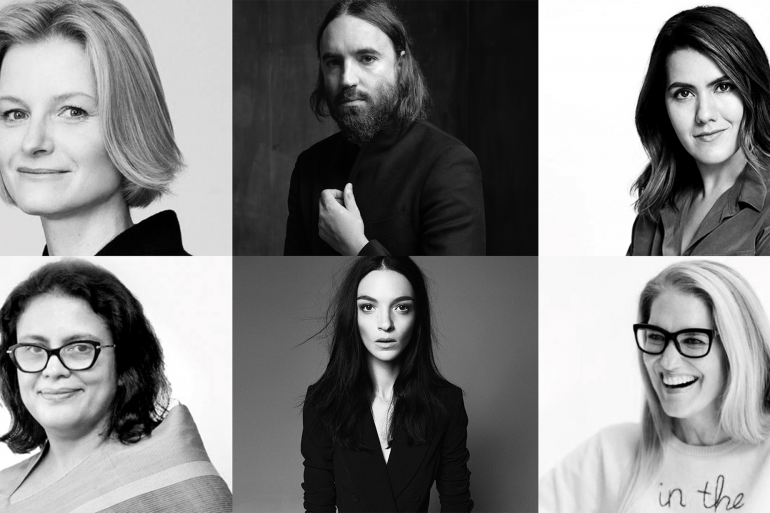 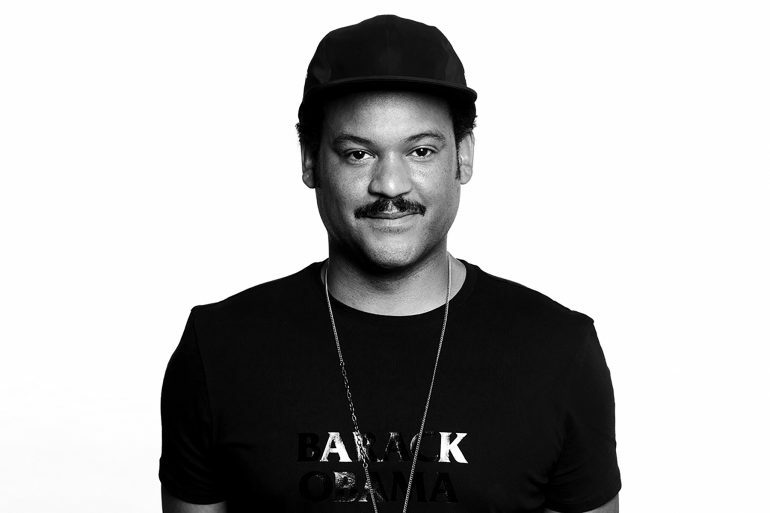 and Creative Directors Mathias Augustyniak and Michael Amzalag to return the house to the mythical highlands where it all began. 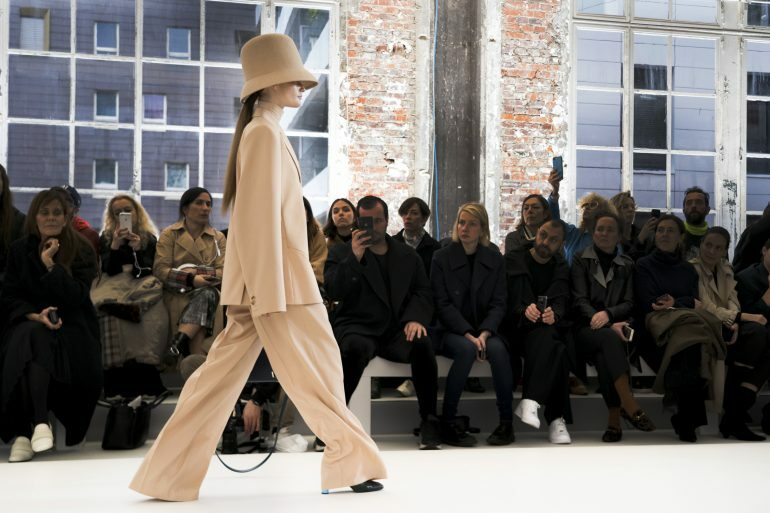 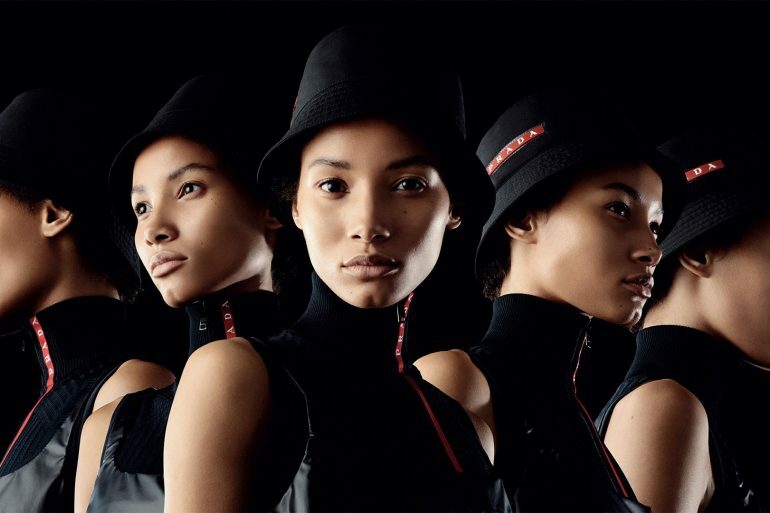 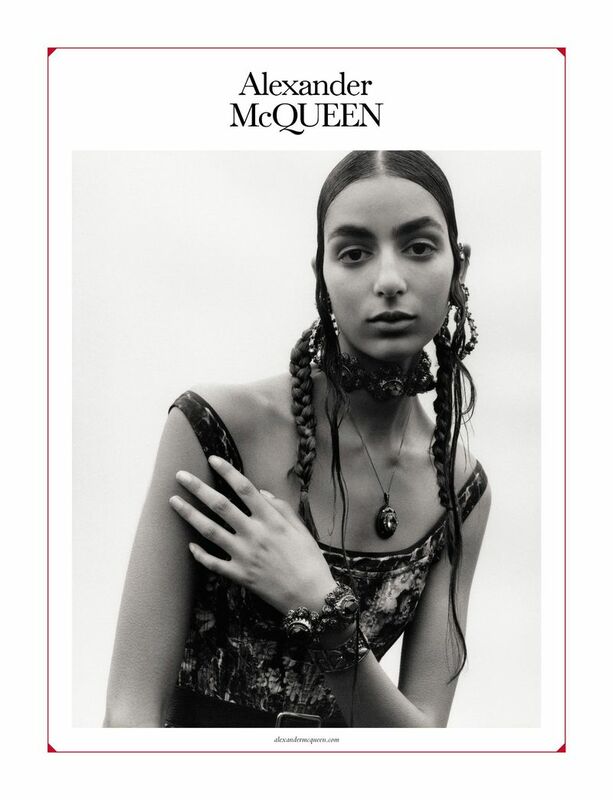 Photographer Jamie Hawkesworth captures the strength of the collection on a powerful and well styled by Camilla Nickerson cast including; Binx Walto, Chunjie Liu, Jean Campbell, Jill Kortleve, Kesewa Aboah, Lara Stone, and Nora Attal. 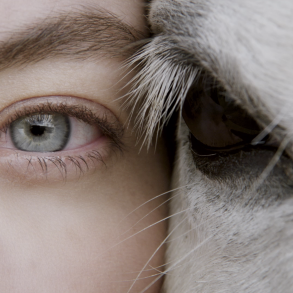 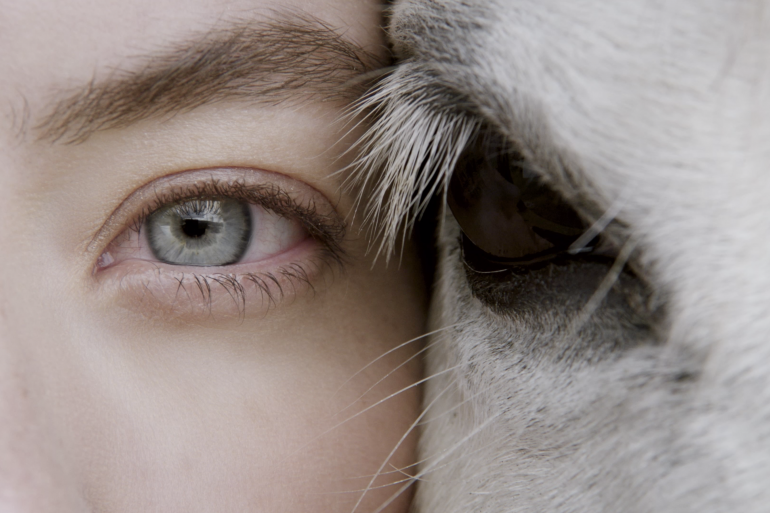 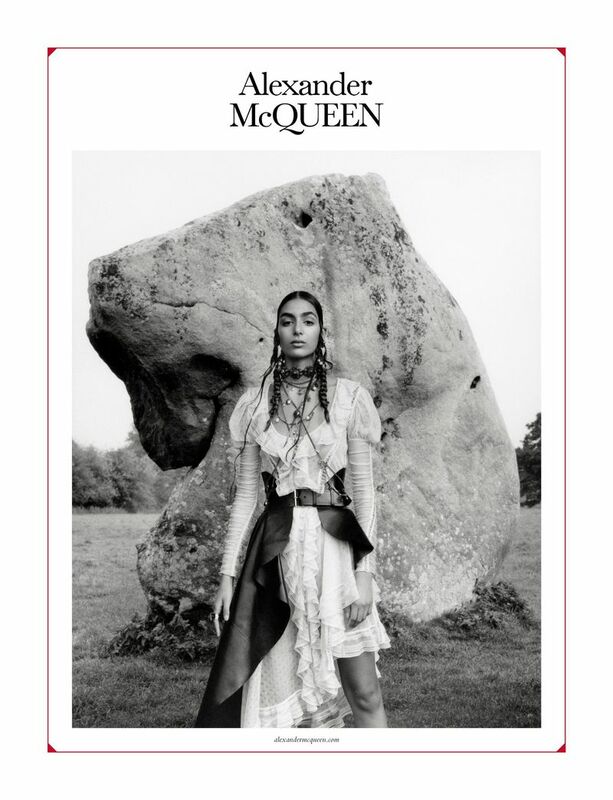 The campaign video sets the tone as the each of the talents strides along in the highland foothills surround by oversized boulders with mythical markings, Falcons fluttering about, and pathways in white sand cut into the foothills as if created by ancients mystics. 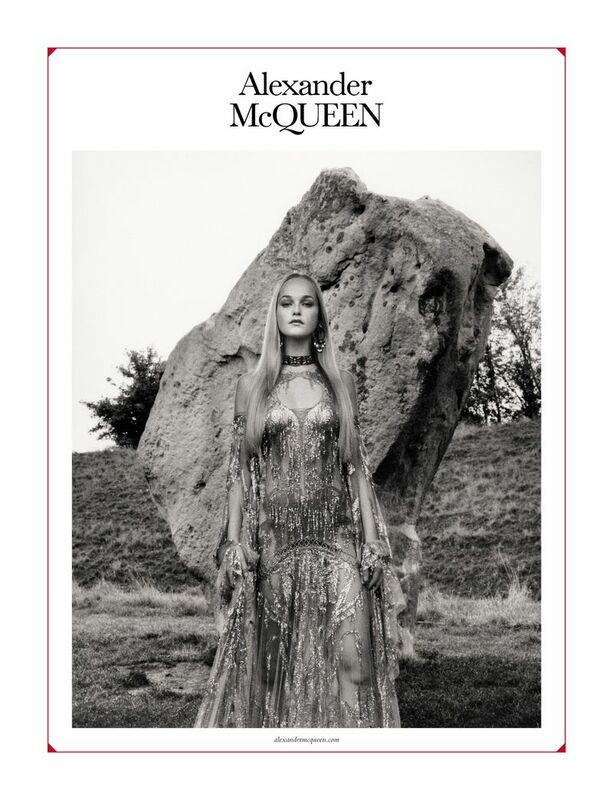 The campaign of stills is art directed in a sepia-hued, black and white often cropping in to there quarter to give the protagonist a sense of power. 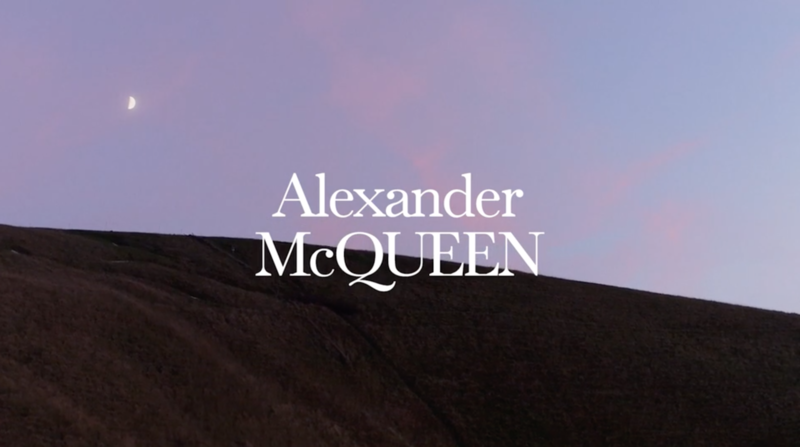 Rather than a simple white boarder art directors Mathias Augustyniak and Michael Amzalag created a thin red frame reminicent of architect Frank Lloyd Wright’s ingenious and bold graphic work. 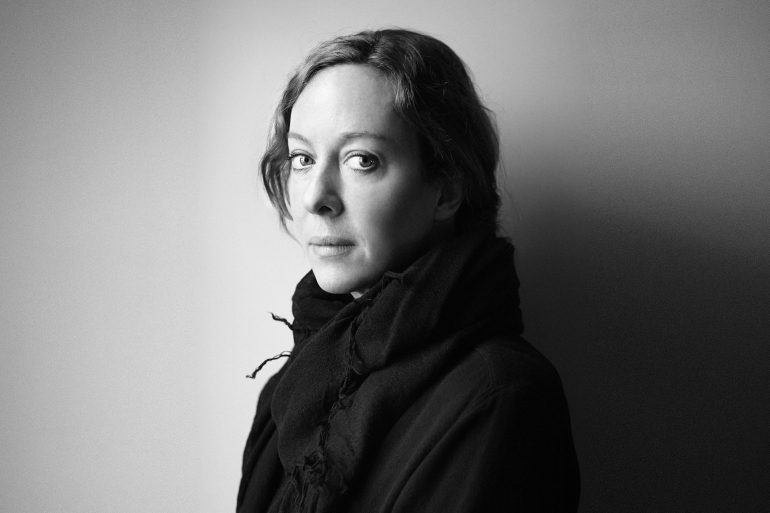 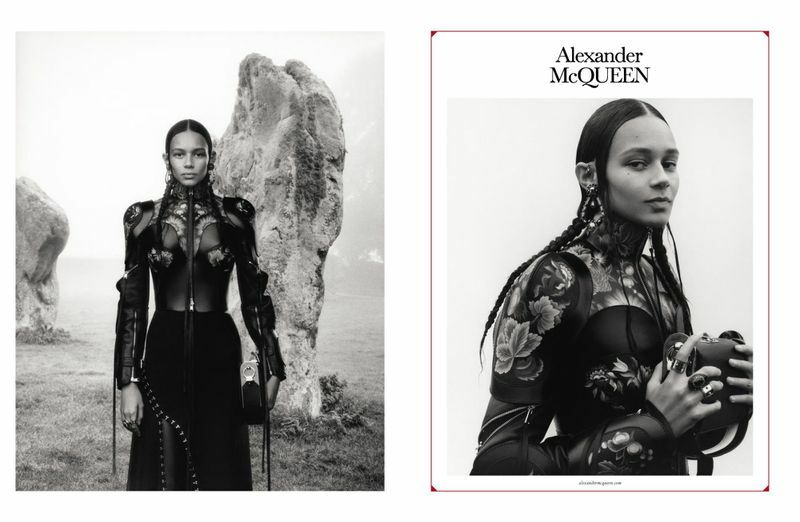 The campaign stills are art directed in a sepia-hued, black and white photos, often cropping in to there quarter to give the protagonist a sense of power. 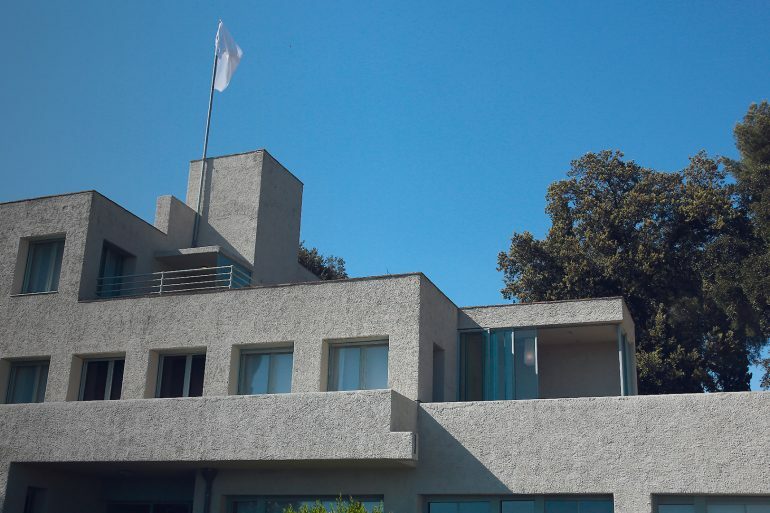 Rather than a plain white border art directors Mathias Augustyniak and Michael Amzalag created a thin red frame reminiscent of architect Frank Lloyd Wright’s ingenious and bold graphic work. 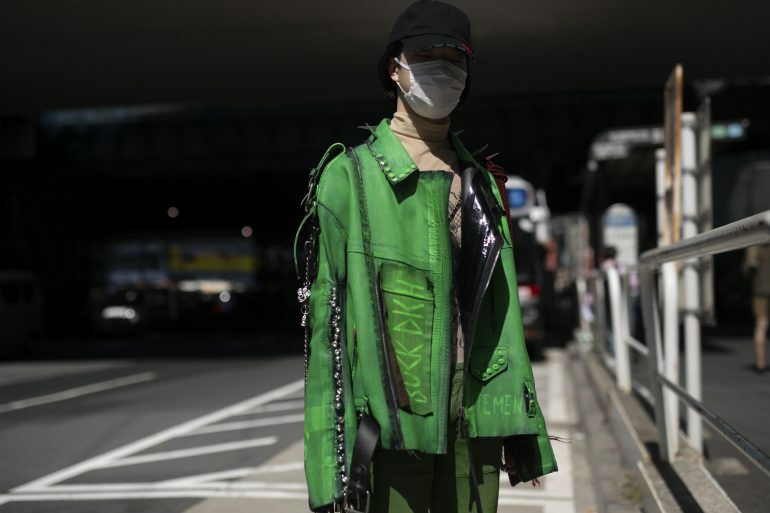 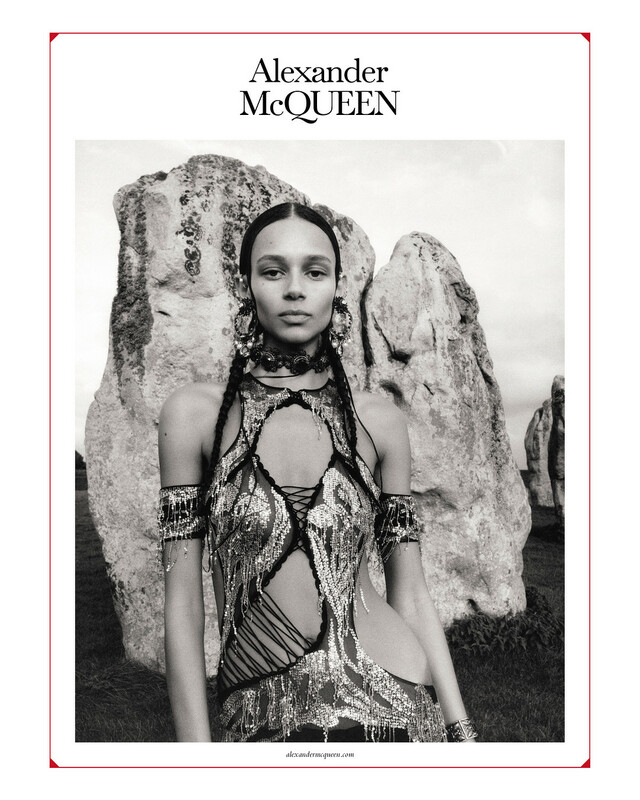 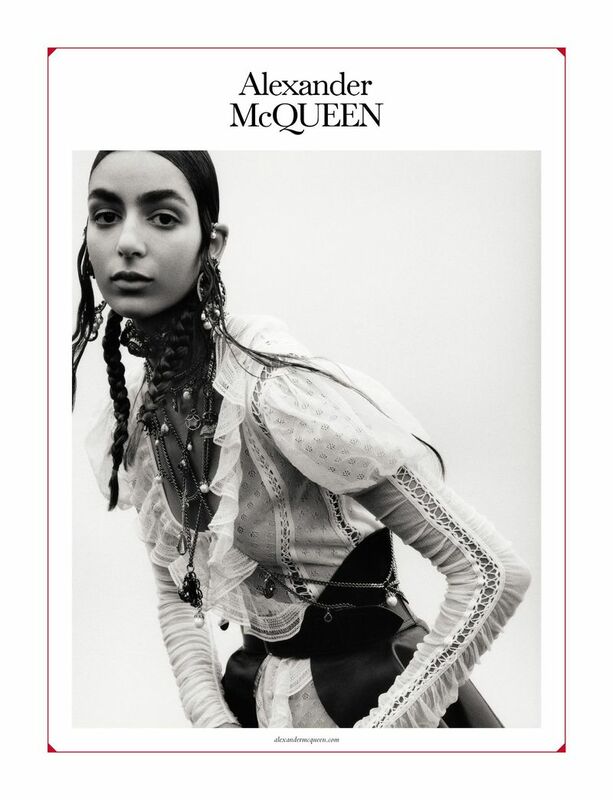 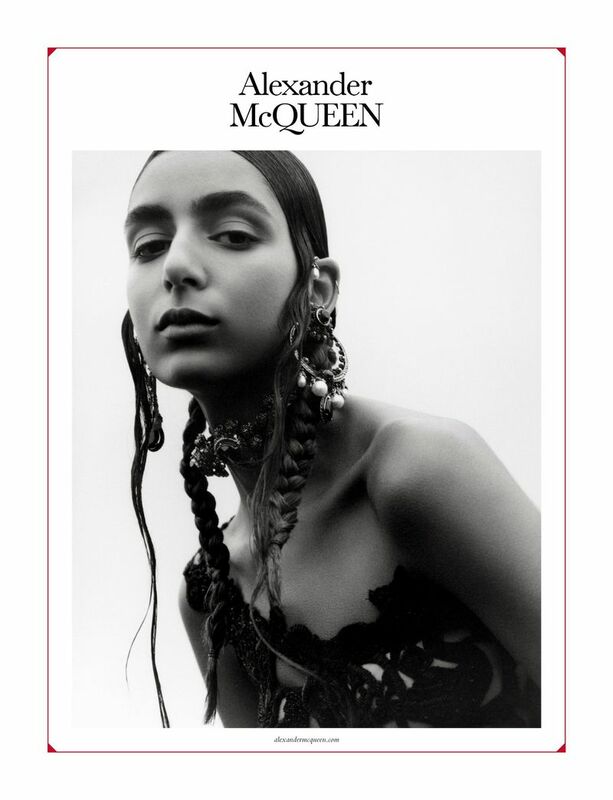 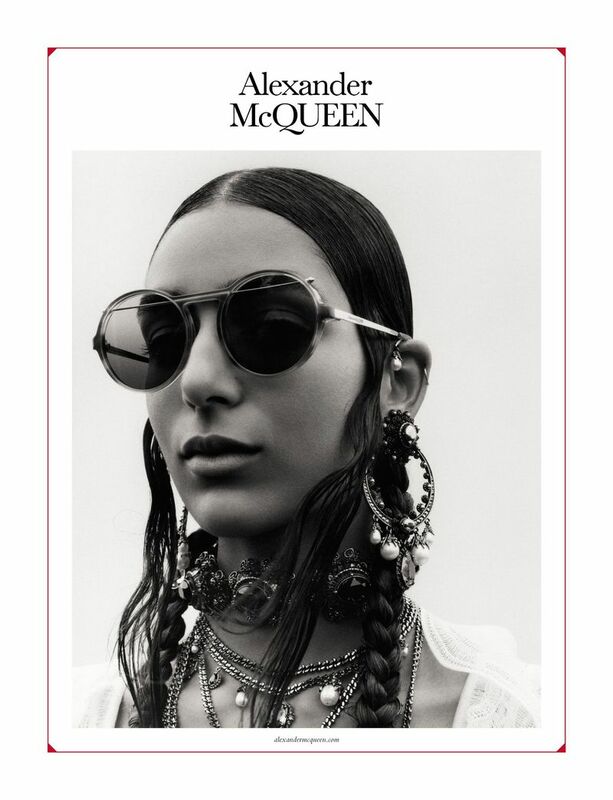 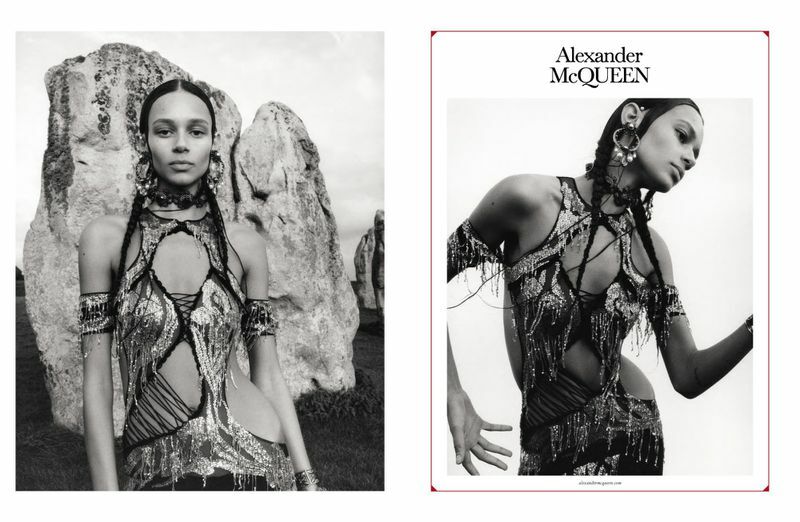 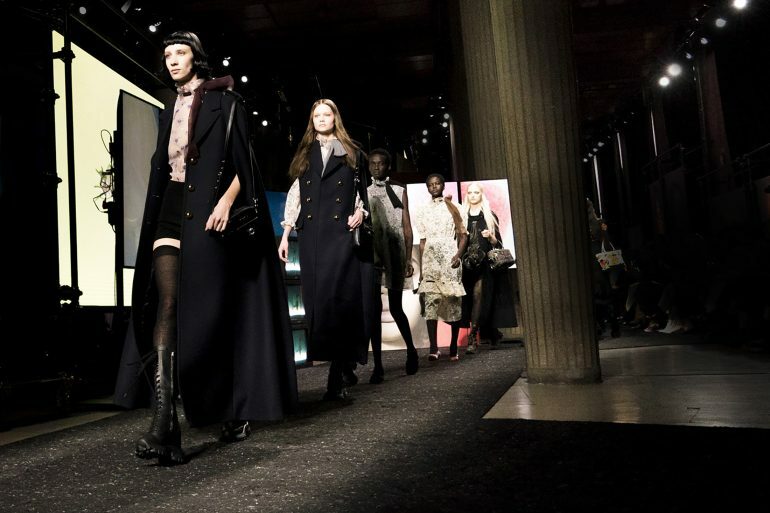 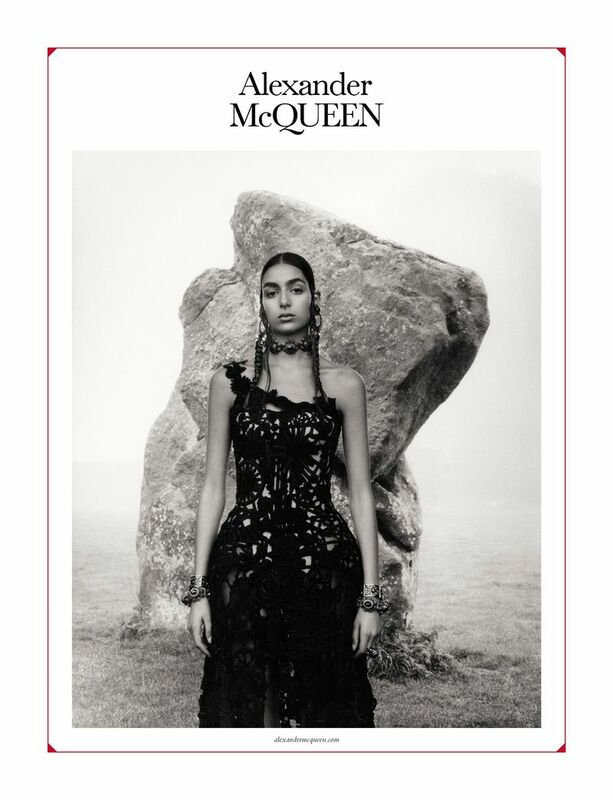 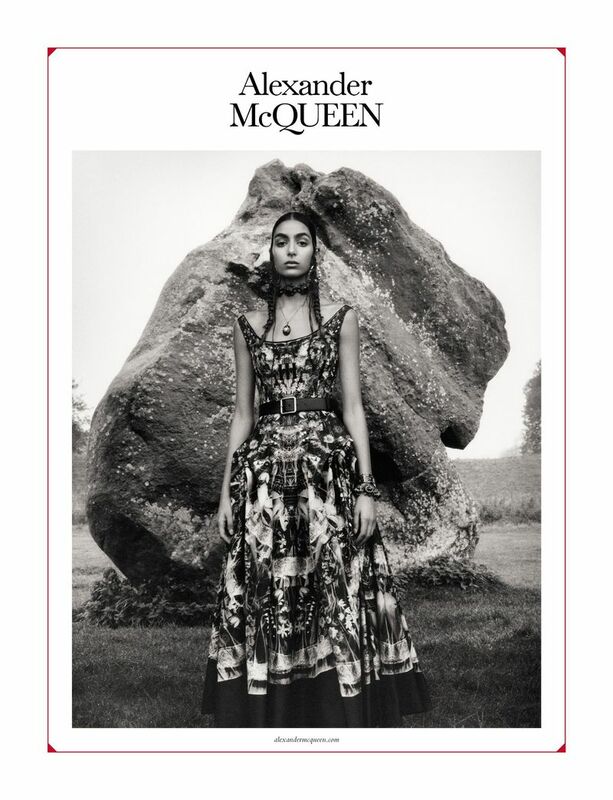 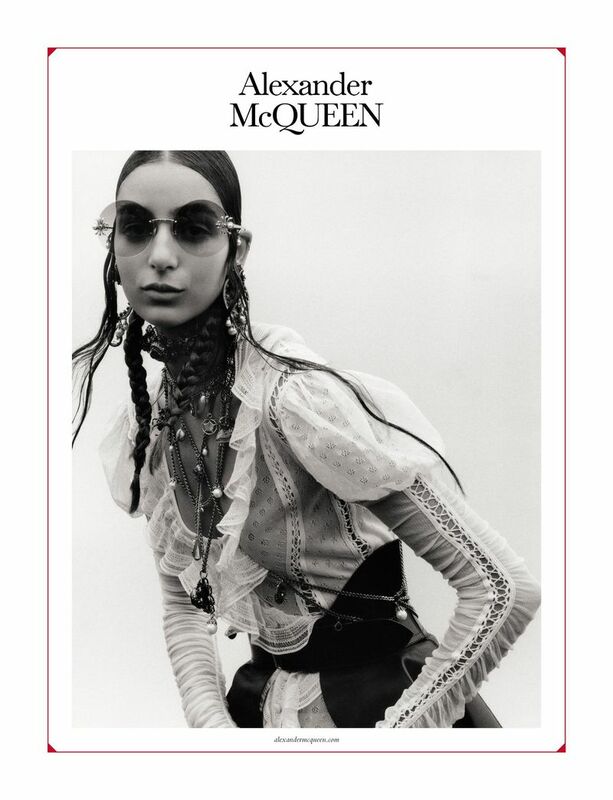 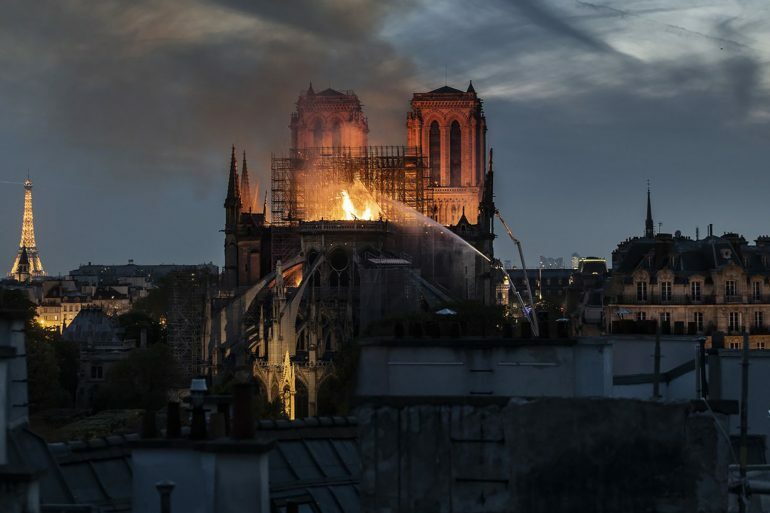 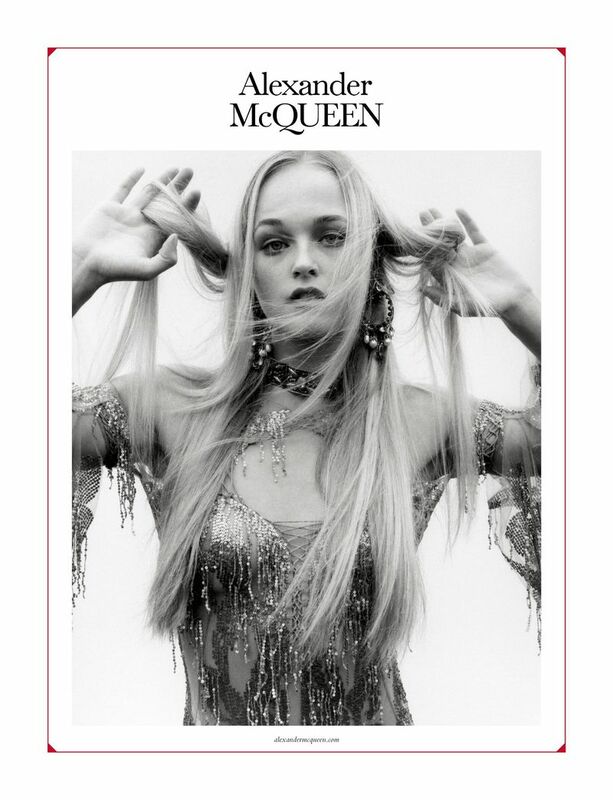 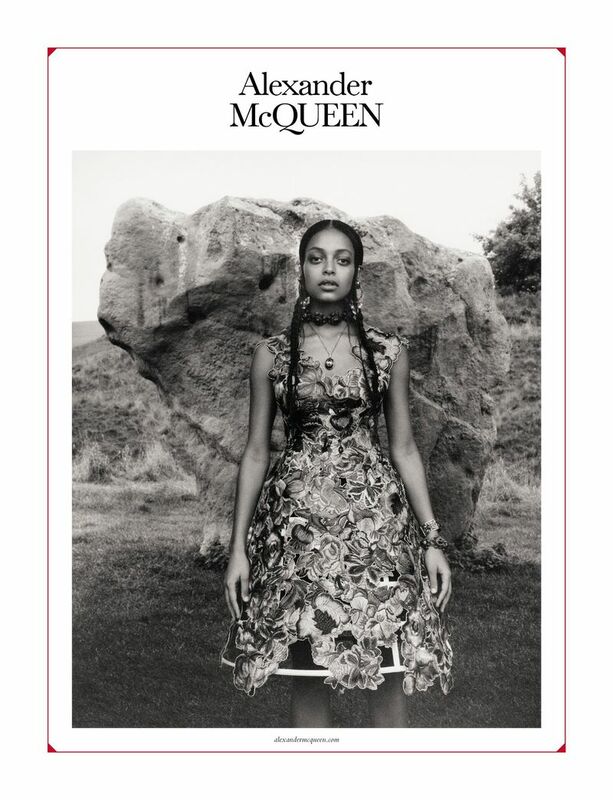 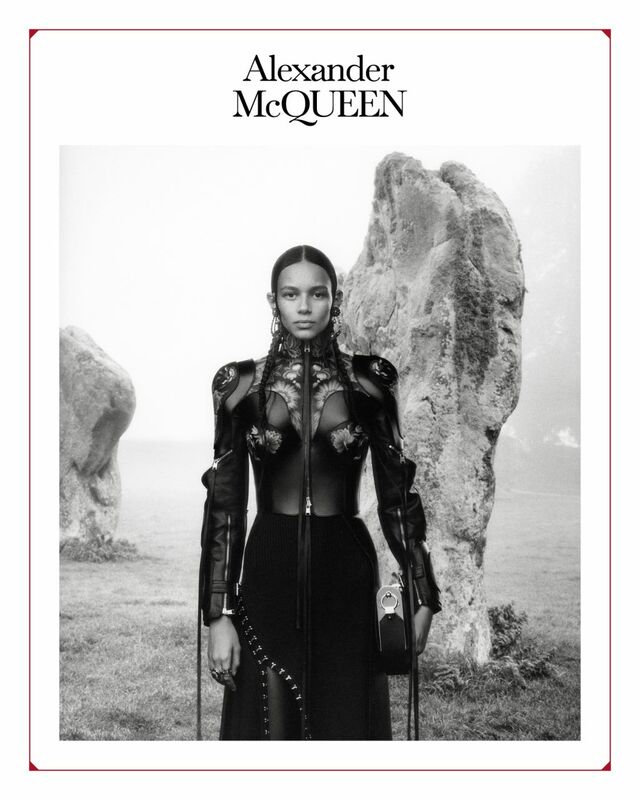 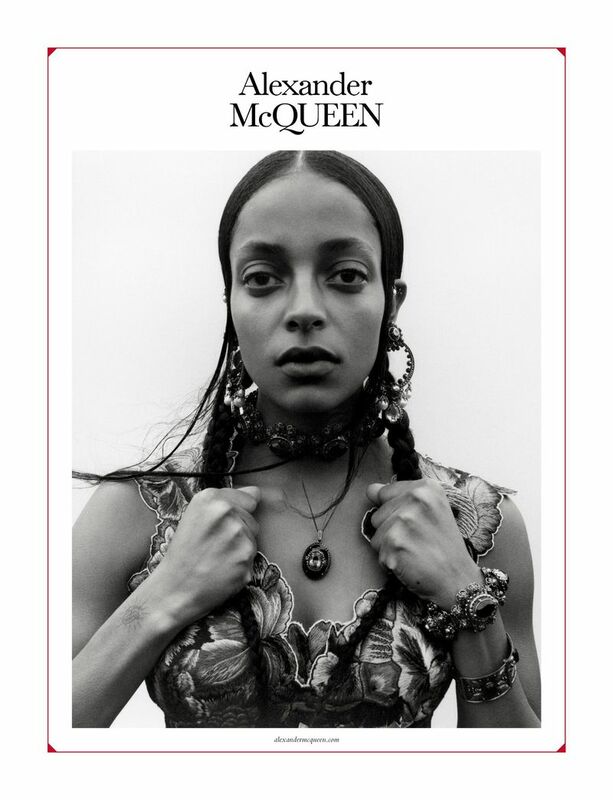 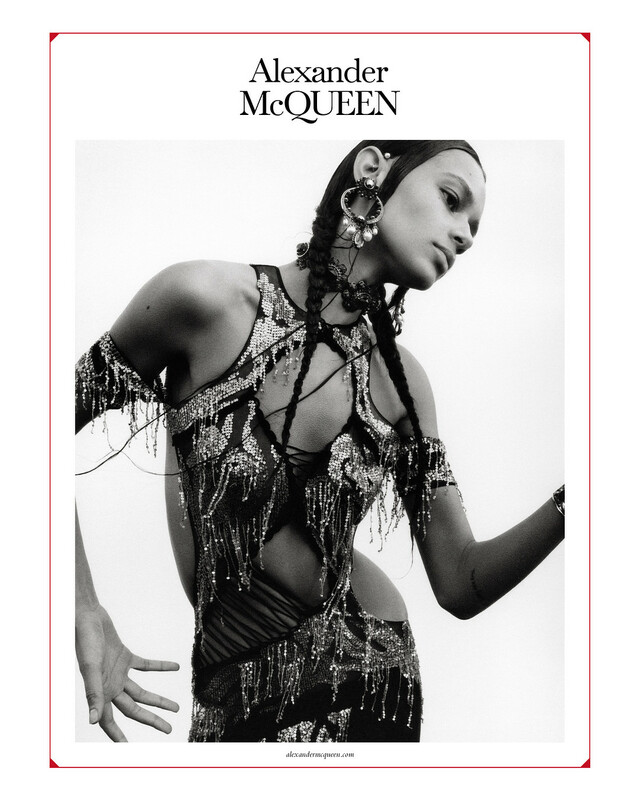 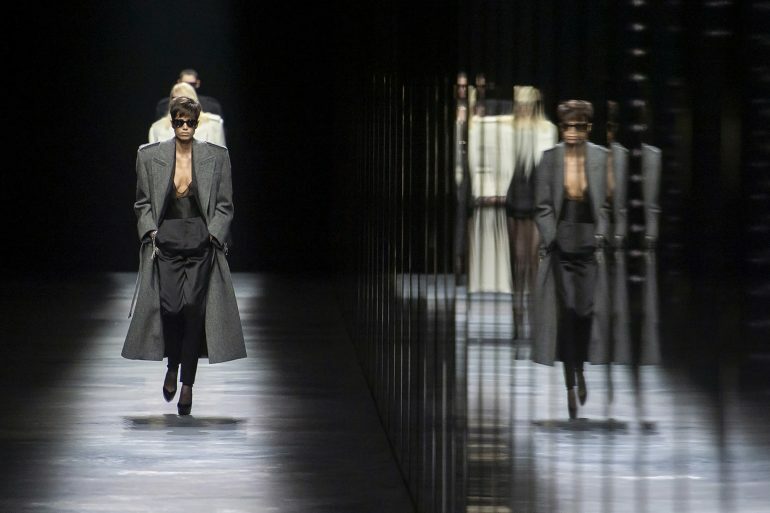 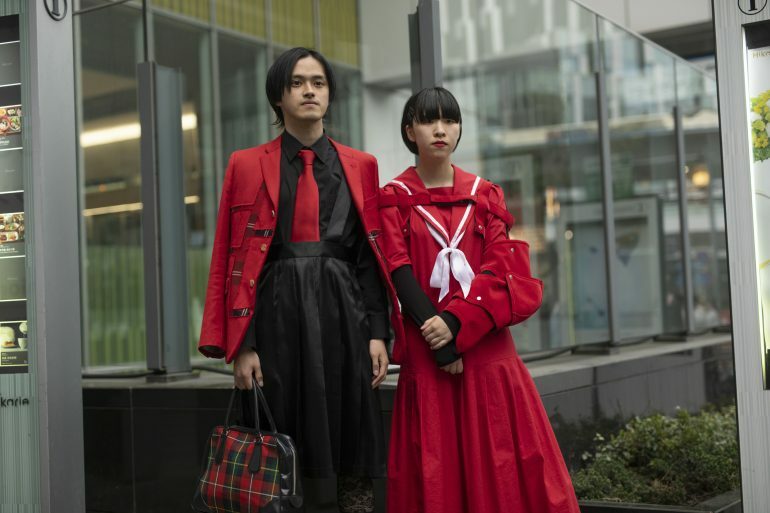 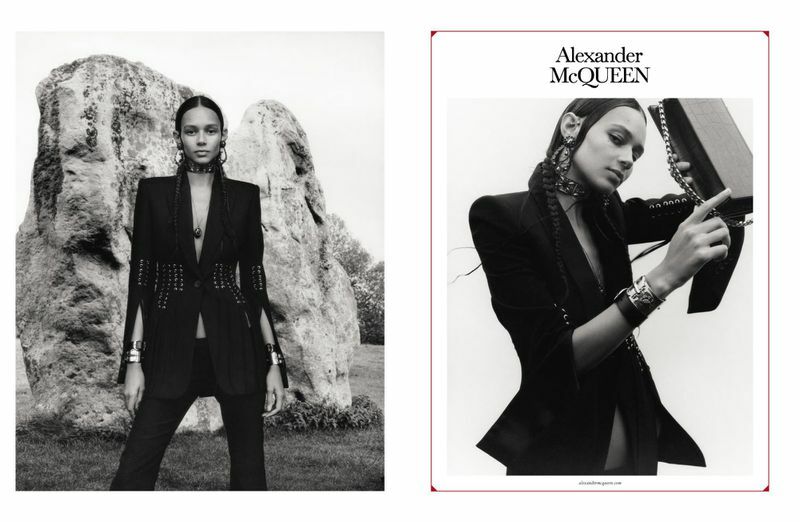 The result is a campaign that feels aged with wisdom and strength, almost of middle earth, powerfully emoting and a retunr to the power of the house that is McQueen.